Get 20% off online driver's education and get your Texas permit or driver's license. 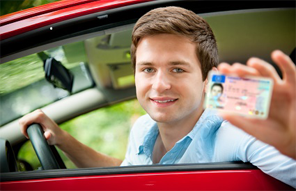 Required for new residents ages 18-24 applying for their first Texas driver’s license. Skip the line at the DPS and take the DPS written exam online! For Teen Ages 14-17. Parents provide both classroom and driving instruction. Get your permit & license . Complete the DPS written exam online! For Teen Ages 14-17. Complete the 32 Hour online classroom and get your permit. Skip the line — complete the DPS written exam online!